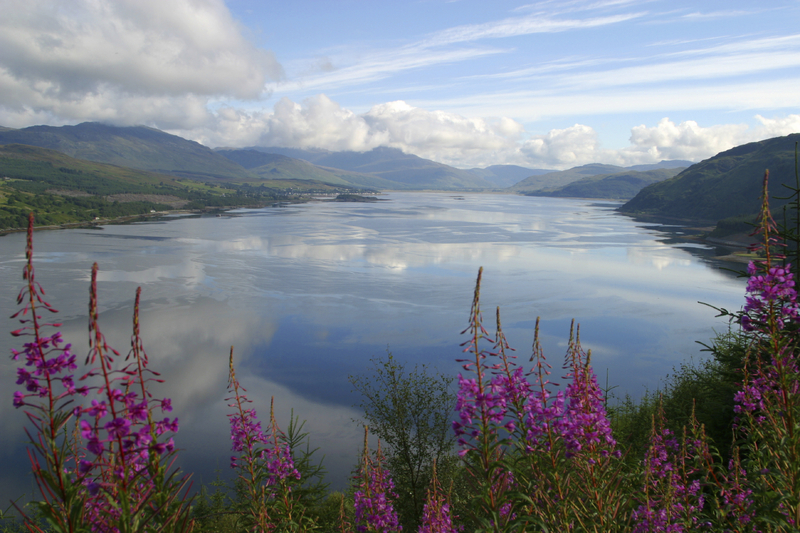 Open up Scotland’s scenery, legends and culture with a friendly, knowledgeable and professional guide. Scotland has so much to offer, and there’s no better way to learn and see the best bits than to have a qualified tour guide to help you discover it in a fun and informative way. My name is Andy Plews and welcome to my site. I’ve been a Tour guide for over 14 years now, taking visitors to fantastic places throughout Scotland. I pride myself on bringing its history, culture and scenery to life. Whether on foot or by vehicle, there is so much to see and explore in Scotland, and I’d love to help you make your Scottish Journey a fantastic, unforgettable experience. I believe in flexibility and fun and as a Blue Badge qualified Tourist Guide I can bring Scotland to life. Explore Scottish Castles, soak up the atmosphere on Battlefields, learn the TRUE stories of Braveheart and Rob Roy, sample some of the best Single Malt whiskies where they are made, discover family roots or get to discover some of the tales from Scotland’s historic Cities. These are just a few of things I can offer on my guided Scottish tours. Exploring a city, historical site or natural beauty spot is best appreciated on foot. Scotland is blessed with having a tale to tell around every corner or down every alleyway. Explore the features of a palace, castle or get the inside knowledge whilst walking on a battlefield. I have extensive experience guiding groups around Scotland’s top tourist attractions, such as Edinburgh’s Royal Mile and Castle. For more active groups I also lead countryside walks on some of Scotland’ famous marked trails like the West Highland Way. With larger groups I can also use the “Whisper System” to allow everyone in the group to walk at their own pace and experience everything as it appears. Whether you are a Tour operator looking for a guide/ tour director or have a large private group needing expert knowledge as you travel around Scotland I can step onto your vehicle and provide entertainment, knowledge and leadership to your trip. As well as bringing the scenery to life for you I can play some of Scotland’s great music to add to the experience. As a professional, qualified Tour Director I’m also experienced in making sure itineraries run smoothly and you get the best personal experience. Scotland is enriched with uniqueness and I understand some groups may have specialist interests. 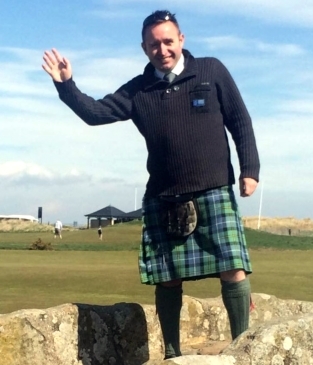 Whether it is discovering family history, playing a round of Golf in one of our World class courses or travelling around sampling Scotland’s amazing food and drink I can guide, help design and allow you to discover what’s best. With an increasing amount of Film and TV shows using Scotland as their backdrop or theme I can take you to the locations where they were filmed and recently have also helped TV and Film companies with their location work. Some visitors like to be independent but still want the inside knowledge. Let me build your Scottish itinerary with distances, logistics, places to visit and quirky facts. Please get in touch and let me know your plans.. I started tour guiding 14 years ago taking guests around Scotland in the summer whilst ski instructing in the Alps in the winter. I absolutely fell in love with the job of guiding and it’s been a huge passion ever since. There are so many sights, stories and mysteries to explore, which means every trip is a new experience. My name is Andy Plews and originally from Glasgow but have lived most of my life in Edinburgh. Even as a child I loved touring around Scotland on summer holidays and exploring ruined castles and remote beaches. I fell in love with its scenery, wildlife and history. I’ve been guiding visitors around Scotland for over 14 years, starting with taking groups up to the Highlands in the summers whilst ski instructing in the Alps in the winters. This gave me a real taste for the stories, folklore and history of the country which I love regaling to my guests. I’m an STGA Qualified Blue Badge Tourist Guide which is internationally recognised and studied for 2 years in order to get the qualification. Dunrobin yesterday right after a heavy rain..
Blair Atholl Castle looking good and the..